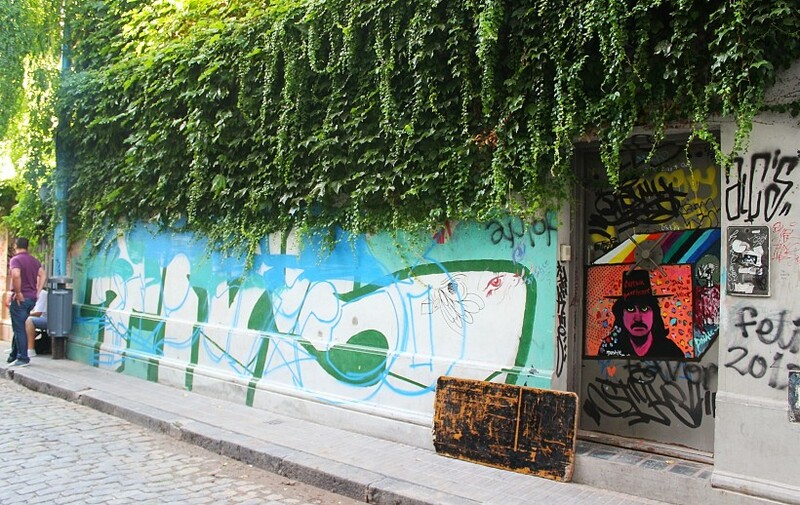 There are two things I really have to tell you about Buenos Aires, you need to know this to make your stay great. First of all, it’s not possible for anyone, not even tourists with a bank account in another country, to take out cash in US Dollars. You can bring in US dollars when you enter the country, and you should, but you can never use an ATM in Buenos Aires for this, you can only withdraw money in local currency, the Peso Argentino. This is important because there’s a second, unofficial, exchange market in Buenos Aires for the US dollar. At this point, if you exchange in an official rate, like withdrawing from an ATM or a bank, you would get 8,5 Pesos for 1 US dollar. If you exchange on the black market, or the Dollar Blue as they call it, you will get 13 pesos for 1 dollar. That’s almost double your money! So, bring US Dollars in cash, change them at unofficial cambios, just ask anyone in the neighborhood and people will now where to go. Some exchange houses are disguised as “gold buyers” – some say “Cambio”. 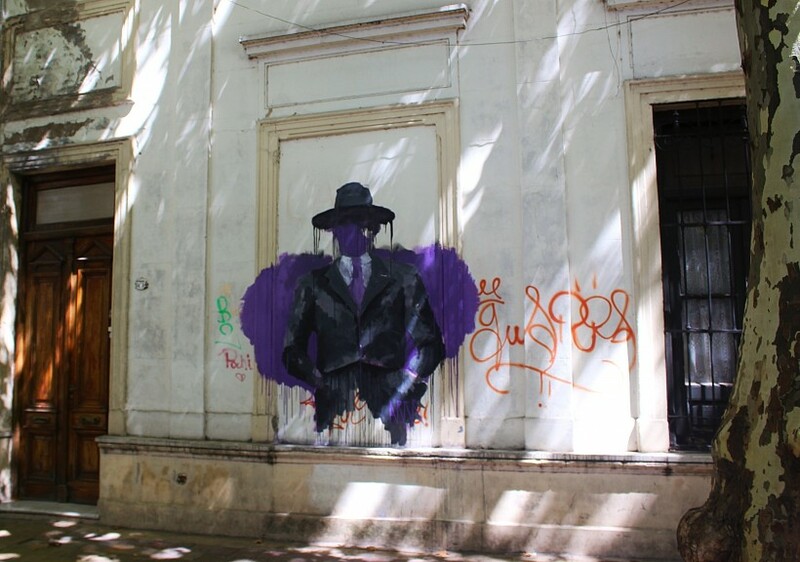 You will find these in barrio Centro or along the Avenida Santa Fe/Cabildo. I would not recommend going up to random guys yelling “Cambio!” on the streets around Lavalle and Florida in Downtown Buenos Aires, if you’re alone. Never go with these guys to a second location, trust your gut, and never change more than 100 or 200 US Dollars with them. They will give you the best rate but if you’re alone and don’t speak any spanish it’s not worth the hustle. Don’t exchange money at the airport, they will pay you less than the official rate, if you need cash when you get there, use an ATM to withdraw at the official rate. Any ATM works with international VISA and MasterCard, withdraw only a small amount for the first day and exchange the US Dollars that you brought in cash when you get to the city. And secondly, the dog owners in Buenos Aires don’t pick up after their dogs. So, watch your step! 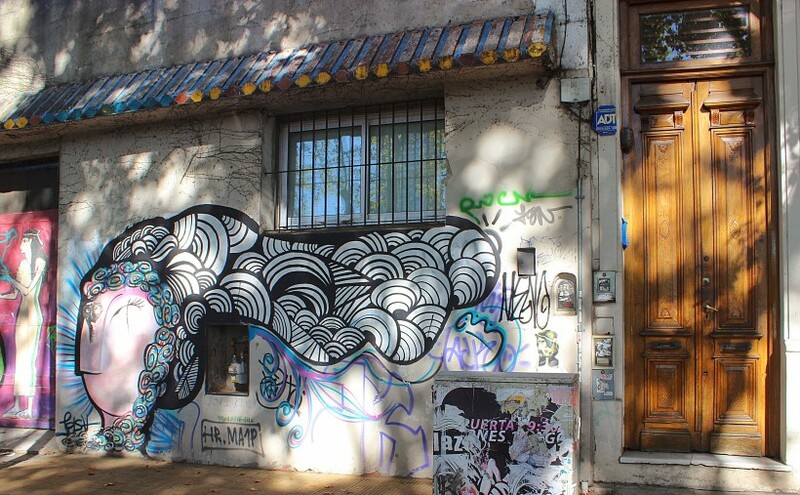 Barrio Palermo Soho, Buenos Aires. March 2015. 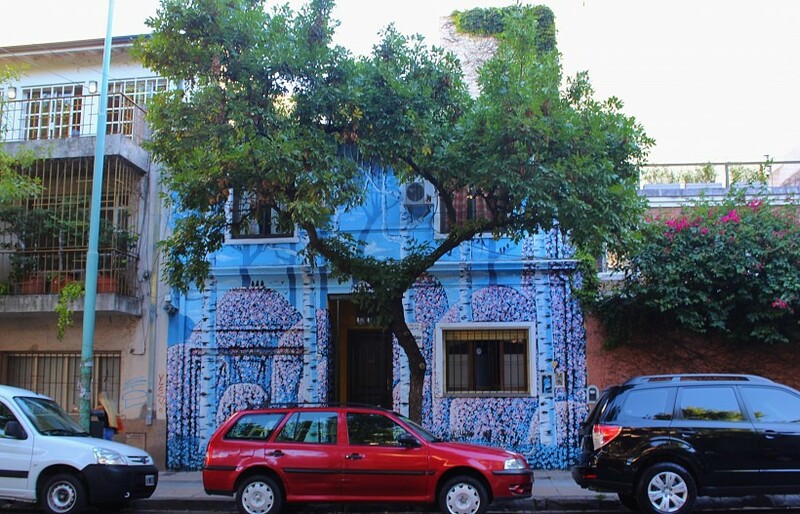 Now, I don’t want you to be discouraged to travel to Buenos Aires, there’s a lot of great stuff about this city, and it’s definitely a place worth a visit! Argentina is a huge country, and of course, the capital reflects this. 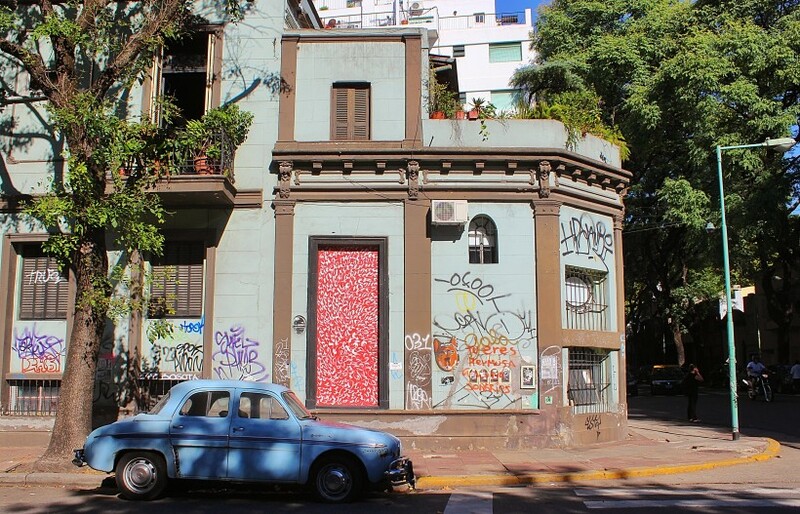 Buenos Aires has a very international feel to it, it’s a mix of Paris, Barcelona and New York but with a latin vibe. The culture is diverse, most Argentinians are of european decent, italian, spanish, french, german and everything else. This makes for a melting pot of all that’s good from pretty much everywhere! You can have great pasta, pizza, bread, pastries, barbecues and very good wine. 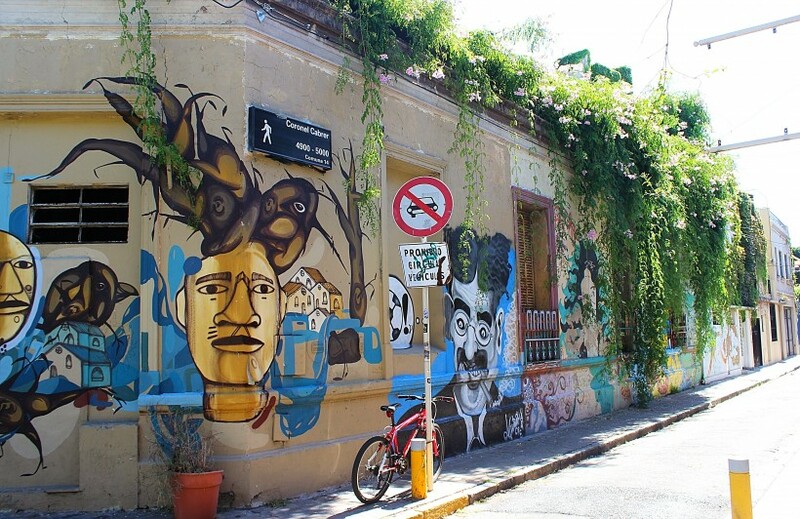 The Barrios in Buenos Aires are full of bars, cafés and restaurants to suit your every mood! Perfect use of a house facade! Palermo, March 2015. 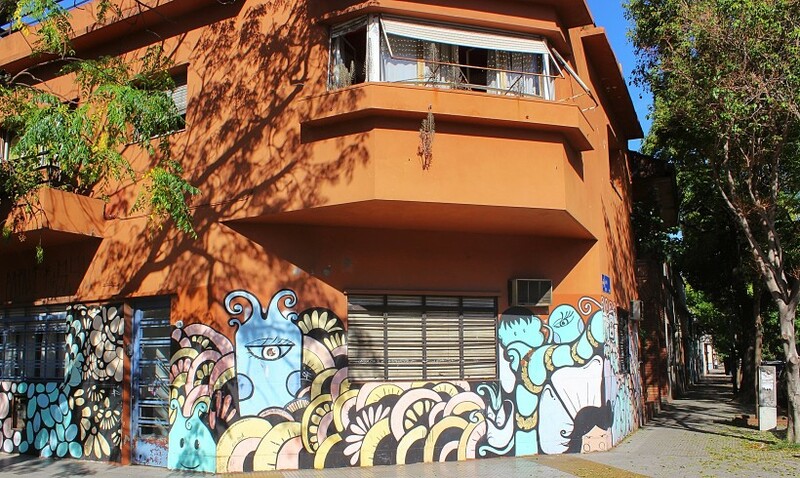 I would recommend finding accommodation in one of the safer barrios (neighborhoods), not only for safety reasons but also because these barrios are full of life and pretty central in a city that’s very big. 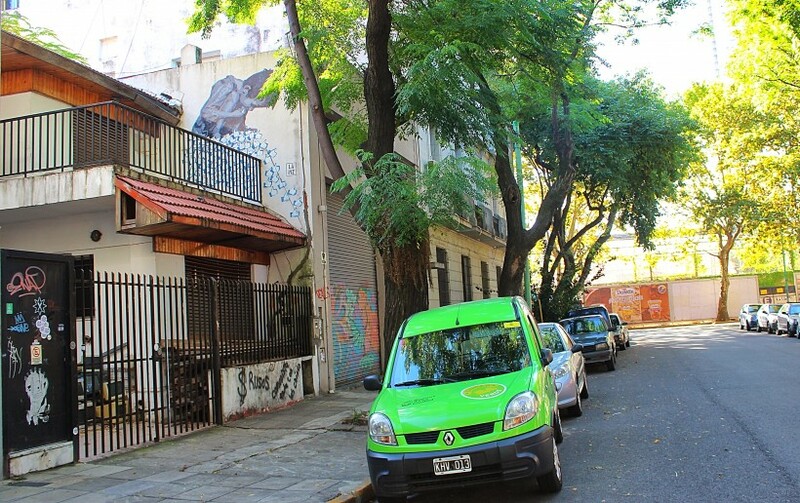 It will make it easier for you to get around and give you more time to enjoy Buenos Aires to the fullest! 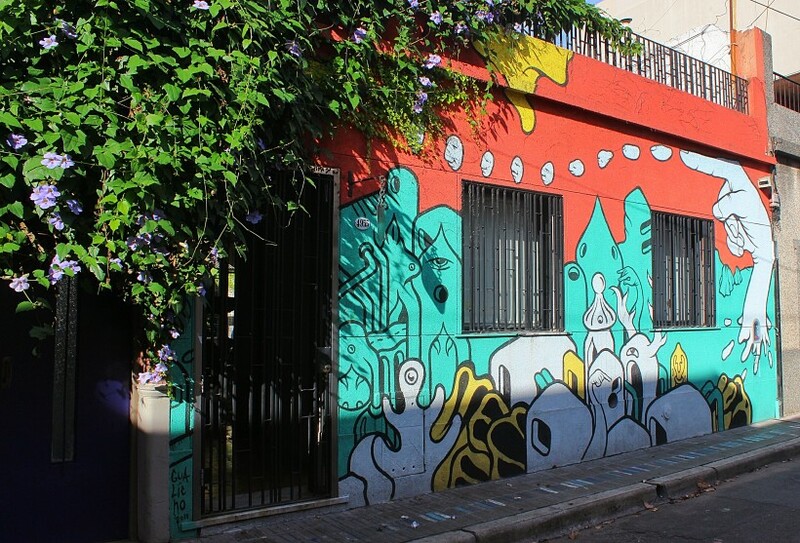 Check out Barrio Palermo, Chacarita, Villa Crespo and Recoleta. 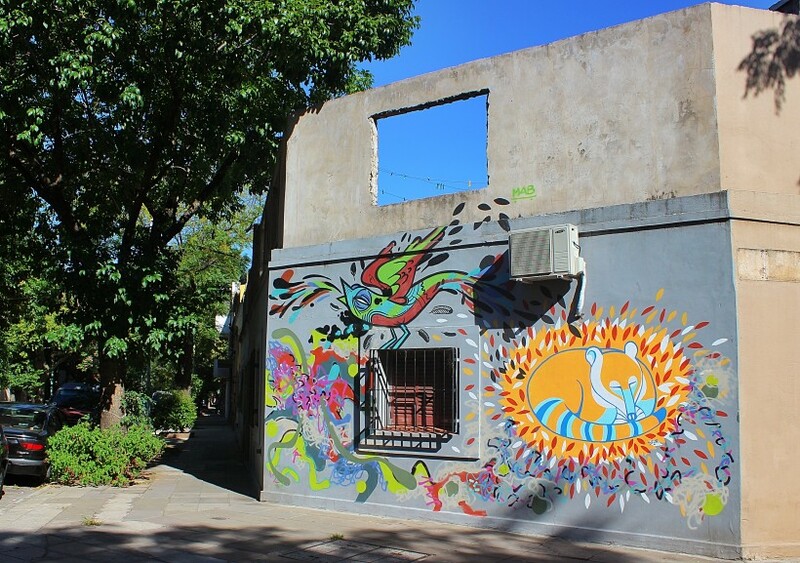 In Palermo, the biggest of these barrios, I liked staying in the area close to Plaza Armenia or Plaza Serrano but I also stayed in the area around the streets Bonpland/Fitzroy and Costa Rica/Soler which was very cozy. If you’re traveling in a group the best option might be AirBnB, a studio for 2-3 people is about 45 – 50 US dollars per night and a good hostel is about 25 US Dollars per night and person so you could actually get a better deal splitting a small apartment. It’s also very cheap to buy groceries such as meat and vegetables at the local “verdureria” or supermarket, giving you the option to cook at home. Barrio Palermo is so big it’s divided in Palermo SoHo, Palermo Viejo and Palermo Hollywood. 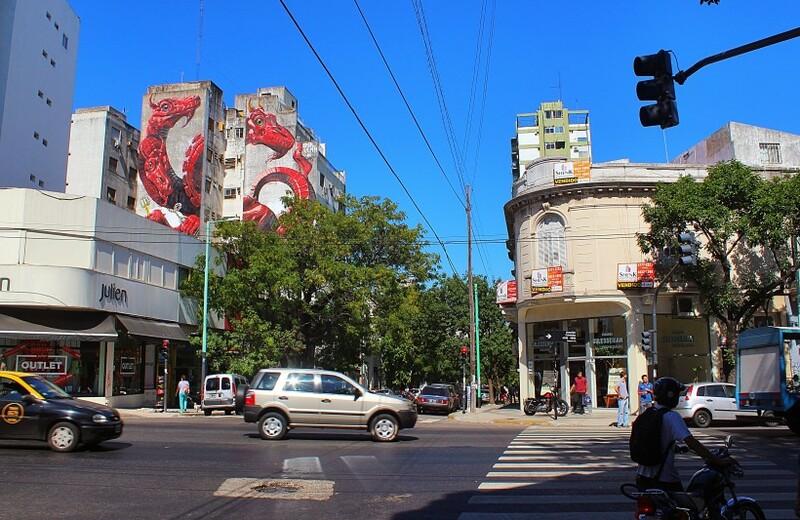 Palermo Soho is the area around Plaza Armenia and Plaza Serrano. These blocks are full of cozy cafés, good restaurants and busy bars, you can find anything you need at any time of the day. This is also where you can do some serious shopping! I spent many hours sipping coffee and people watching at various cafés, some of my favorite spots: La Panera Rosa, they have two locations, on Costa Rica 4582 you have a nice view of the plaza. On J.L. Borges 1685 you are on the busiest spot in Palermo Soho, whichever you choose, have a Licuado – it’s like a smoothie only better, and try the waffles! At Mark’s Deli on the corner of Calle El Salvador & Armenia they have the yummiest Mocca Latte, and every other coffee you might want. Right across the street on Armenia 1692 is BBlue Deli, they have great breakfast deals and very healthy lunches and smoothies. On the weekends there’s a market in both Plaza Serrano and Plaza Armenia, totally worth a look! In Palermo Viejo I found a really nice interior decoration store with a great café, Paul, on the street Goritti 4865 and on the corner of Niceto Vega & Serrano there’s another good café called JPR Coffee. A couple of blocks north from here you will find the Avenida Juan B. Justo. 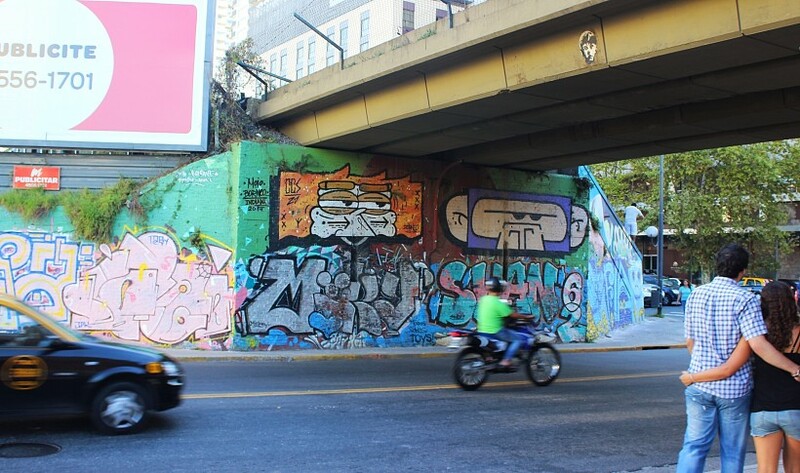 This is where the train passes and the walls all along the tracks are covered in graffiti, you’ll love it! On the other side of Avenida Juan B. Justo is Palermo Hollywood. Here you’ll find loads of nightclubs and cool bars, like Festival on Gorritti 5746, they make fantastic cocktails! For breakfast or brunch I can totally recommend Oui Oui on the corner of Avenida Dorrego & Nicaragua, they have super yummy Eggs Benedict, my favorite! 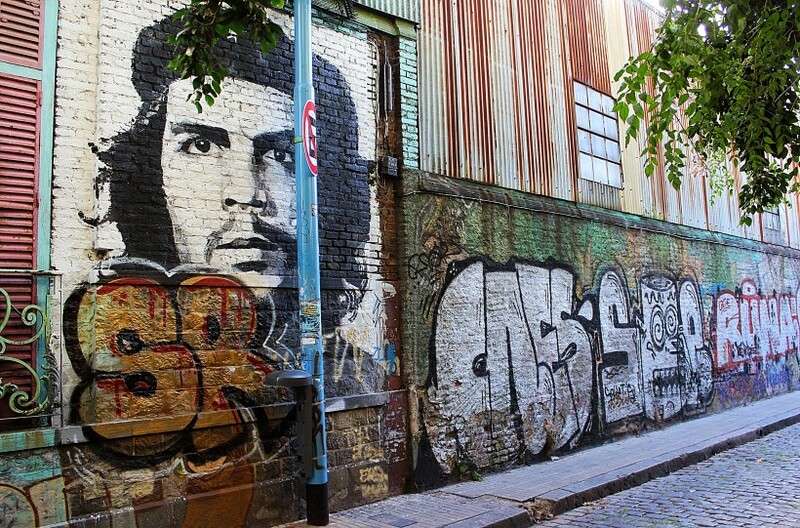 Che Guevara in his hometown, March 2015. For dinner or yummy Margaritas try Tijuana Cocina on Guatemala 4540, right next door is also El Quetzal, that have amazing drinks! If you’re in need of some exercise after all the eating of the yummy stuff, head to Bosques De Palermo in the northern parts of Palermo. It’s a huge park with running tracks, small lakes and vast grass spaces, in the evening you can join outside cross fit classes or the impromptu football/soccer games. It’s a beautiful spot for a picnic of course, and maybe a visit to the planetary! 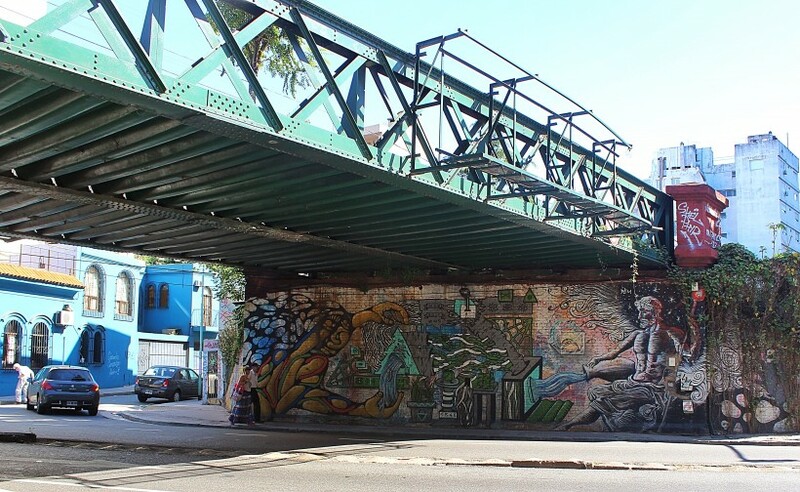 Brick walls under subway rails… made for Public Space Take Over! 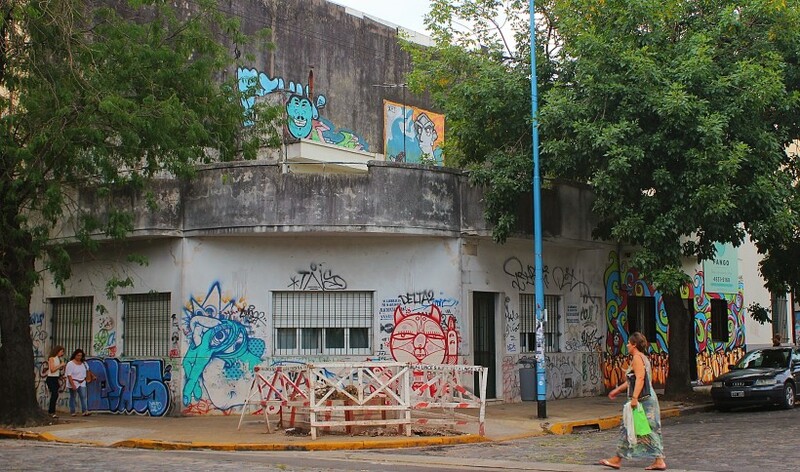 Buenos Aires, March 2015. 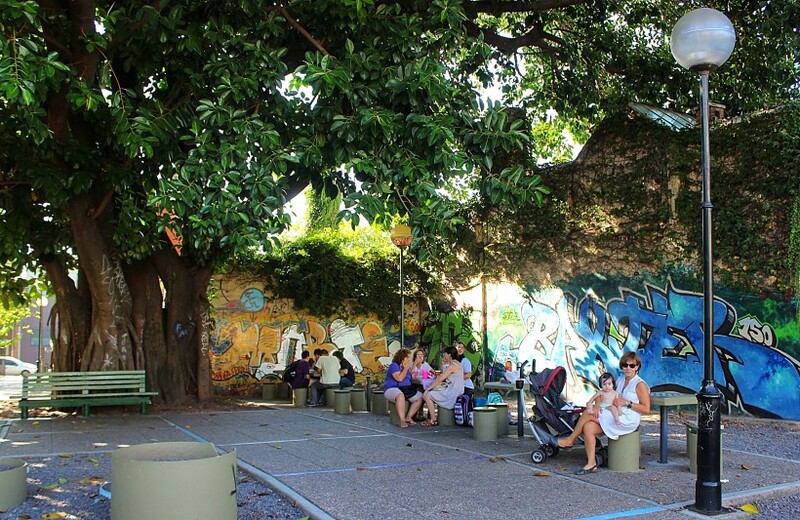 The Botanical Gardens on the corner of Avenida Santa Fe & Avenida Las Heras is also very much worth a visit, just to unwind with a picnic or a calm walk in the middle o a busy city! Avenida Santa Fe is where you go to find ATM’s, banks, post office, unofficial exchange spots and cheaper shops and restaurants. Hanging out after school in the neighborhood park, perfect public space take over spot! Palermo, March 2015. Mysterious man in Palermo Hollywood, March 2015. Decorated street corner on Palermo, as it should be! March 2015. 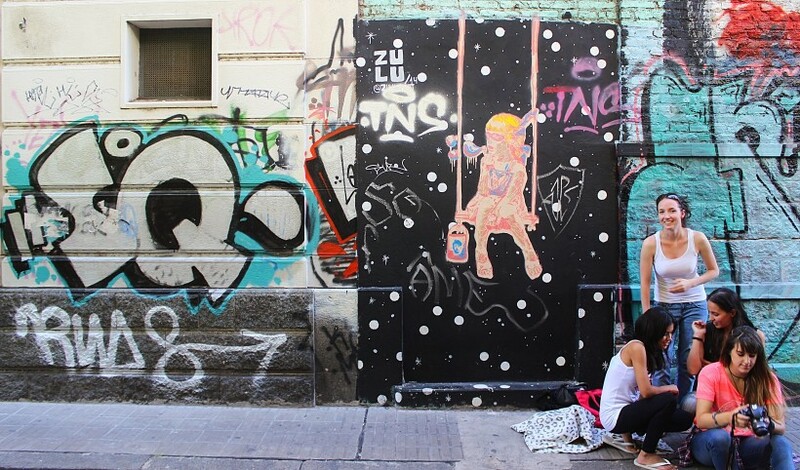 Great mural in Palermo by Lean Frizzera, March 2015. Palermo, Avenida Juan B. Justo. March 2015. The shady streets of Palermo, March 2015. Narrow alley in Palermo Soho, March 2015. Alley in Palermo Soho, March 2015. In the streets of Palermo… March 2015. 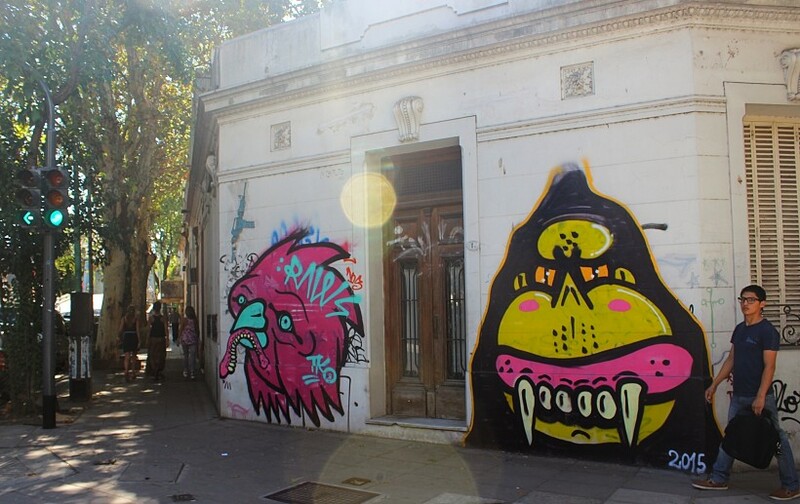 This entry was posted in Buenos Aires and tagged all you see is crime in the city, buenos aires, graffiti, public space take over, street art, tags, throws. Bookmark the permalink.